In December 2018, former Israel Defense Forces chief Benny Gantz established Hosen L’Yisrael (Israel Resilience Party) and rocked the Israeli political landscape when many started seeing him as a viable replacement for Benjamin Netanyahu. 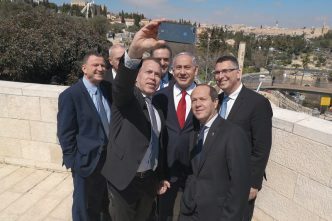 Gantz agreed to run a joint candidate list with the Yesh Atid Party under an alliance called ‘Kahol Lavan’ (‘Blue and White’, the colours of the Israeli flag). Yesh Atid (which translates as ‘There Is a Future’) was formed in 2012 by the former journalist Yair Lapid, who served as finance minister in a Netanyahu government. Gantz, dubbed the ‘Teflon General’ by some, brought with him two other former military chiefs of staff: Gabi Ashkenazi, who, like Gantz, was a Netanyahu appointee; and Moshe Aylon, who had served as Netanyahu’s defence minister. Netanyahu took the Gantz–Lapid threat seriously because, in 1999, three other former military leaders, Ehud Barak, Amnon Lipkin-Shahak and Yitzhak Mordechai, came close to toppling him. Lipkin-Shahak was Gantz’s mentor. Again, Netanyahu faced three security people, which challenged his campaign message that only he could protect Israel. Initially, Gantz and Lapid’s platform focused on the need to address many of Israel’s social problems, including a crumbling health system, traffic-choked roads and an affordable-housing crisis that has locked many young Israelis out of the real-estate market. Because Netanyahu’s campaign emphasised security, annexation of the settlements on the West Bank and his close relationship with Donald Trump, Kahol Lavan struggled, leading it to rely on Gantz’s security credentials. Those credentials proved insufficient and southern Israel voted overwhelming for Netanyahu and the Likud Party. On the Palestine issue, Gantz and Lapid were extremely cautious. Gantz emphasised his military role— particularly the fact that he led the IDF during the 2014 Gaza War—suggesting that if negotiations were to take place, he too would negotiate from a position of strength. No reference was made to a two-state solution; instead, the Kahol Lavan platform called for a regional summit to help facilitate a separation of Israelis and Palestinians, while stressing that Jerusalem is the eternal capital of Israel. 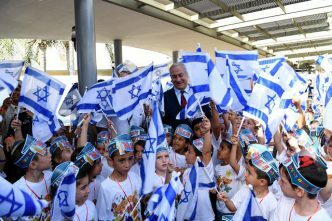 Netanyahu’s campaign featured three key themes: security, economics and international diplomacy, laced with claims of a ‘witch hunt’ against him by the liberal left. In 2015, Netanyahu focused on Iran; he also stoked fears of a third Palestinian intifada and warned Israelis of the needed to vote because left-wing NGOs were taking Arab voters to the polls ‘in droves’. None of those claims hold up to close scrutiny. The gap between rich and poor has increased and, oddly, many of Likud’s core supporters are affected by the growing disparity. The health and transportation systems are failing, and rockets continue to rain from Gaza. But facts weren’t important in this election. It was yet another example of Israelis opting to kick the key issues of security, peace and economic vitality down the road. 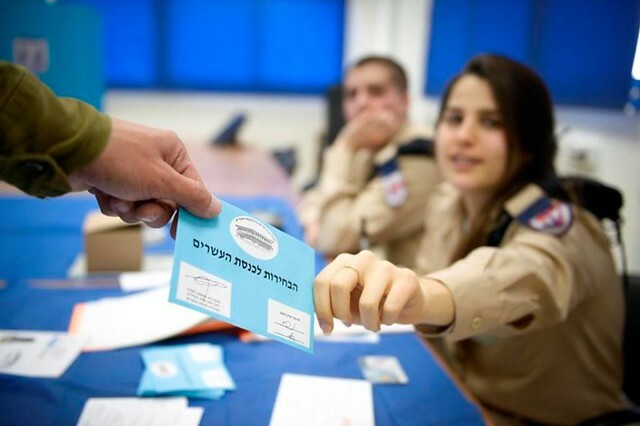 Israelis have been able to avoid taking tough decisions about their future for several reasons. Palestinians are divided. Fatah, the PLO and the Palestinian Authority don’t reflect the views of ordinary Palestinians, many of whom reject the armed struggle. Nor do many feel connected to the political elite. Just like many other peoples around the world, Palestinians know what they don’t want but can’t agree on what they do want. Trump is committed to his own survival, which means making sure that his supporters—including people like casino magnate and mega-donor Sheldon Adelson—are happy. Playing the Israel card pleases his base. 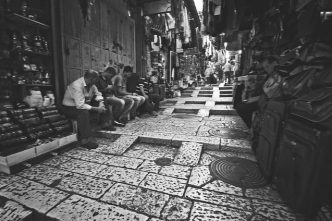 For years, the Palestinian cause has suffered from poor leadership and deep division, preventing Palestinians from asserting what they want. In April 2018, the Palestine National Council met a few weeks after an attempt to assassinate Palestinian Prime Minister Rami Hamdallah as he entered Gaza. No representatives from Hamas, the Islamic Jihad Movement or the Popular Front attended the meeting, primarily because they want to cement the power of Palestinian President Abu Mazen. 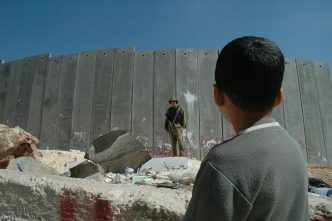 That highlights the ongoing rift between Palestinians living in the West Bank and those in Gaza. 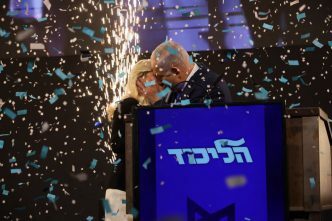 The 2019 election was a referendum on the way Netanyahu is running Israel, and the Israeli electorate showed that it doesn’t care about the corruption allegations or his authoritarian, populist politics. In fact, the outcome showed that they liked his style: Likud won even more seats than it did in 2015. With such a mandate, it’s unlikely that Netanyahu will change his attitude or policies. He will lead Israel further down the illiberal democracy path and ensure that key security issues are left unresolved. Gantz and his followers are unlikely to challenge his security agenda. Isaac Kfir is the director of the national security program and head of the Counter-terrorism Policy Centre at ASPI. Image courtesy of the Israel Defense Forces on Flickr.